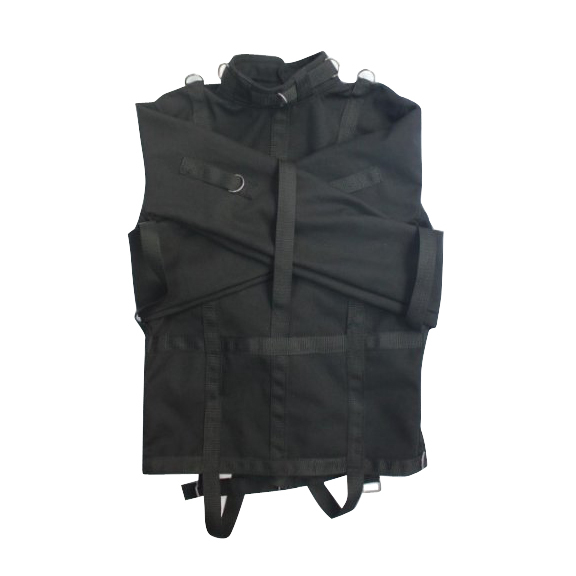 Heavy duty canvas strait jacket – restrict your partner completely with this beautiful restraint. 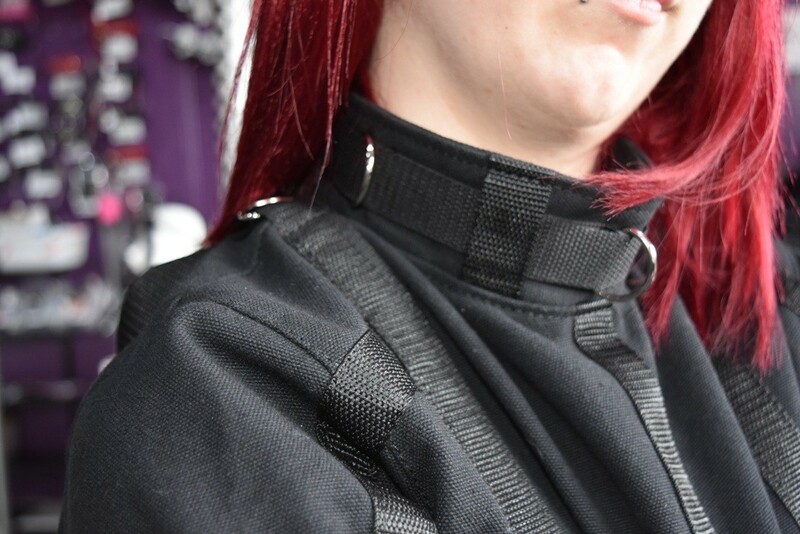 Every strap is fully adjustable. It does include attached straps for around the legs. Features D-rings at all of the crucial points for maximum versatility in restraining! This strait jacket does not include locks.